Mushroom Biriyani is another creation of Chef Shankar. Served together with the Cabbage Kofta, this vegetarian meal would satisfy even the hungriest carnivore. Several varieties of mushrooms were used including Shiitake, Crimini, and White Button Mushrooms which when combined give the dish a nice satisfying texture and bite. The rice is flavored with biriyani pulav masala which can be bought in any Indian grocery store, and garnished with bright green onion. Unlike the typical slow cooked biriyani, this one was put together in a flash. 1. Cook the rice, with 3 cups of water. 2. Clean and slice the mushrooms. 3. Heat a few tbsp of ghee on medium high heat, and saute the mushrooms. Add salt & pepper. 4. Once the rice is cooked, mix in the mushrooms. Add the masala powder and salt and mix together. 5. Garnish with chopped green onion. Kanchana, this is the first time I am coming across mushroom biriyani....sounds very simple and easy to make! Thanks! Great idea....i use to do pulav which combinations mushroom with other veggie..never tried biriyani..sounds healthy too....Convey our compliment to your DH too...Thanks. 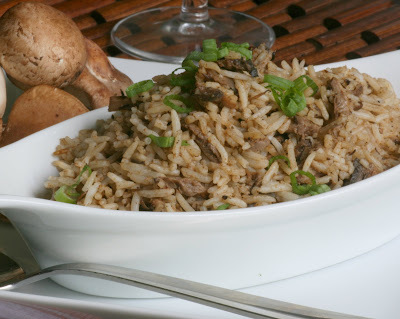 I never tried pulav with mushrooms, but it seems to be a nice idea, quick, simple and yummy..... thanks for sharing! Yaay!! !...my most favourite!...Ready for an exchange for my narthangai oorgai..;)...??? 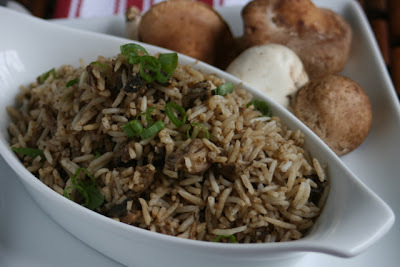 I have some mushrooms in my fridge and can try out this simple biriyani this weekend. Simple and nice recipe Kanchana. One of my friend recently prepared a simple biriyani with badshah pulo/biriyani powder and it tasted so nice.. iam planning to try it out soon. lovely recipe, have to try asap!! 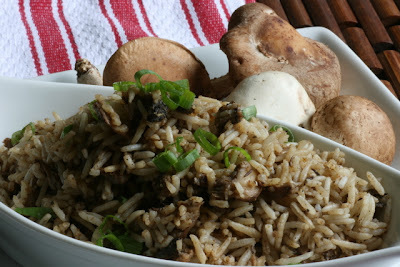 i love mushroom ...and that too on fried rice and briyani ..wow!! !must have tasted great ..
Its been a long time since i visited all my favorite blogs. Been taking a break from blogging, browsing and in general food (trying to shed those last few pounds of fat from babies, and thinking about food does nto help!). Looks like you ladies had a lovely time! Lovely company, yummy food and interesting conversations! Anyways, good luck to all the pregnant mommies and congrats to the new mom. We used about a tablespoon of pulav masala. Shankar recommends Badshah or Everest. Add it a little at a time and keep tasting until you feel it is right. I would approximate about a tbsp of the masala powder for 2 cups of uncooked rice. The ghee that the mushrooms are cooked in really add the flavor! I could not resist trying out this recipe because of the ease to make & your pictures make it delicious to eat. I ran out of ghee & was lazy to get some green onions. Substituted 2 spoons thinly chopped onions along with mushrooms & olive oil. garnished with cilantro. I could not get shitakes & added portabello. Does the Shitake add more taste? Just curious! I love Mushroom in any form, & in a biriyani is the first time I've heard of. Am sure it tastes good. 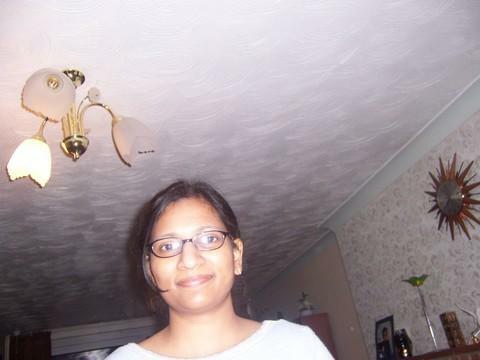 You have a nice blog here, & am linking you up into mine.